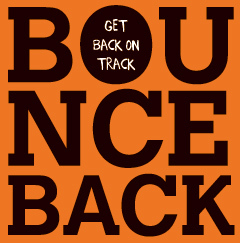 The Bounce Back Program can be purchased for use on your campus. Why does Bounce Back work? The Bounce Back Retention Program Efficacy Data document provides theoretical information through page 12, and efficacy data starting on page 13. Please refer any questions or comments you may have to bouncebk@mail.sdsu.edu. Facilitator training is available upon request. Training is conducted by the authors. Bounce Back is the property of Counseling and Psychological Services, Division of Student Affairs, San Diego State University.